This book is a delight to read. From the first line, the prose is completely exquisite with lines that need savouring (and highlighting, and committing to memory and using as a bar for what good writing looks like!). I have had my eye on this novel for a long time so I did approach it with a slight sense of trepidation that it might not match my expectations, but was relieved to find that it not only matched, but exceeded them. I found myself completely immersed within the sultry heat of Tangiers and the claustrophobic atmosphere created by the strange, unspoken tension between the two main characters, Alice and Lucy, from the very opening until the very last line. Impeccably judged, the structure of the alternating narratives and the taut writing, produce a quietly unsettling story which is gripping, even though the action is so understated and nuanced. The imagery and choice of description is also understated yet highly evocative, rooting the reader firmly in the exotic location. 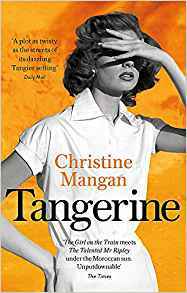 Mangan subtly uses the rising danger of political unrest which lurks in the background of the city to accentuate the threatening relationship between the women. The attention to small details and fragmented mention of haunting memories help the reader to slowly piece together the secrets and complex past between Alice and Lucy. The characterisation of both women is masterful and flawless. These are exceptionally well crafted characters whose motives are complicated and emotions raw. The reader will sympathise with one and be fascinated by the other - and will need to pay attention to the games, manipulation and lies with which they not only deceive the reader and other characters in the book, but also themselves. It's quite simply unforgettable and totally one of my top reads for 2019. 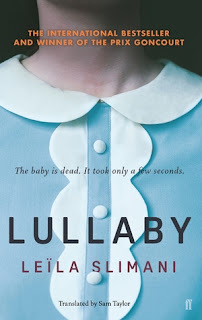 I savoured this book and relished the high quality prose, the slow burn plot and the way in which the sense of threat permeates each page, gradually rising towards the finale. Yes, it does echo The Talented Mr Ripley and The Secret History, but what fantastic comparisons and what fantastic authors to see traces of within this impressive and stand out debut. I recommend. It's a real treat.